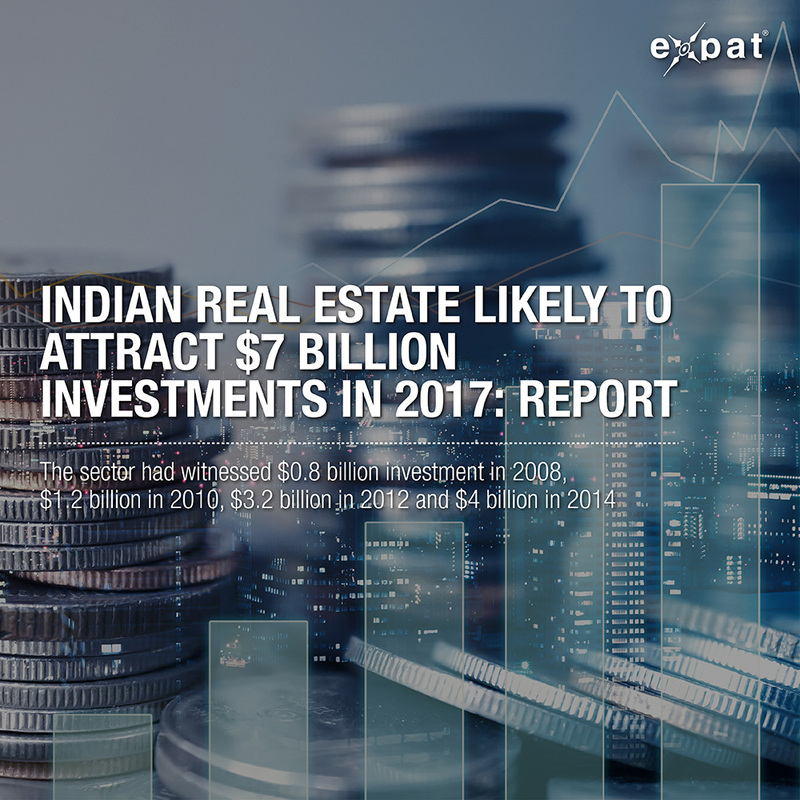 MUMBAI: Rising institutional investor confidence and appetite for Indian real estate on the back of attractive asset valuations and a favourable regulatory environment is expected to push investments into the sector to $7 billion in 2017 from $6 billion in 2016, showed a report. The sector had witnessed $0.8 billion investment in 2008, $1.2 billion in 2010, $3.2 billion in 2012 and $4 billion in 2014. While office and residential are expected to remain traditional drivers for the industry; alternate sectors such as retail and warehousing will also come to the forefront in 2017. The sector is witnessing unprecedented interest from offshore equity investors, large Indian corporates and high net worth individuals (HNIs) as investors believe that the sector now offers a level playing field with attractive returns, said a CREDAI-CBRE report. “The above sentiment is further endorsed by a cyclical decline in interest rates in 2016. This has drastically reduced the cost of doing business for all investor classes. Even ‘structured debt’ has evolved from being a “high-cost source of funding” to being a very viable source of funding with successive interest rate cuts,” said the report. The combination of measures including Real Estate (Regulation & Development) Act, 2016 (RERA), Goods & Services Tax, Real Estate Investment Trusts (REITs), easing of FDI norms, Demonetization are likely to help in catalysing ease of doing business in the country while supporting corporate entities entering or expanding their footprint in India. “Government’s aggressive push to formalize, regulate and encourage investment to the sector with a slew of measures like RERA, REITs is consolidating India’s position on global map. We believe that these disruptions and encouraging trends will definitely manifest a more exciting future which will be full of possibilities and opportunities for Indian real-estate,” said Jaxay Shah, President, CREDAI National. These policy moves are expected to improve transparency in the sector, increase the share of organized segment and enhance the overall investor sentiment. The breakthrough disruptions in four cornerstones of regulations, finance, customers and technology are likely to have positive insinuations on the sector and will facilitate a new ecosystem that will be more conducive. “Real estate in India continues to be in a dynamic phase and the pace at which the four cornerstones – Regulation, Finance, Customers and Technology are evolving, a more than incremental transformation in the sector is expected in the coming years,” said Anshuman Magazine, Chairman, India & South East Asia, CBRE. While majority of the focus in 2017 will remain on leased and completed assets, one can expect an increased appetite amongst developers/investors for development equity. Land transactions are expected to remain high, as new funds and institutional investors, foreign developers likely to pick up assets, even as corporates, smaller developers will be keen to monetize assets and retire debt. The report also highlighted the changing disruption in customer preferences in office, retail, residential and warehousing space. The dynamics in office spaces are being disrupted with the entry of Millennials – over two-thirds of the Indian Millennials feel quality of ‘Office design’ impacts their productivity to large extent. While in warehousing segment - entry of international players is ensuring that better and larger warehouses emerge in key markets; in residential segment - customers will have a say in operations with effective grievance redressal.